What a lot of gorgeous buns are adoptable at the moment! It’s a great time, headed toward fall, to grow your family with a furball .. or two! Don’t forget bonded pairs are quite the treat, and help keep each other company. Check our adoptables page as it’s updated regularly, and many wonderful companion buns are looking for their forever home. More events are also on the way. Our next adoption event will be in Albuquerque on 16 September at Petsmart, 350 Eubank Blvd, Albuquerque, NM 87123. Our annual yard sale will be in November in Albuquerque. We are also in the planning stages for Bunny 101 classes in both Albuquerque and Santa Fe late September or Early October. More information will be posted as we have it. 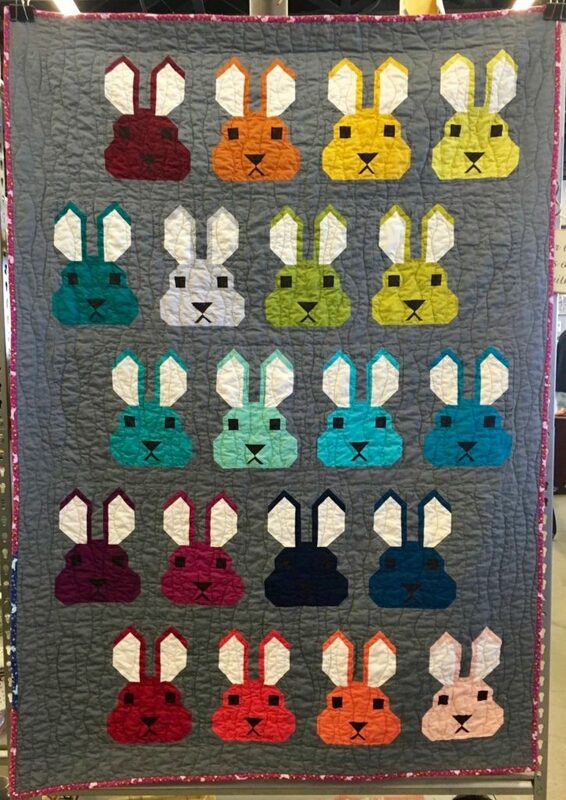 This bunny quilt could be yours! A reminder, our annual quilt raffle is live! Click on the picture of the quilt to buy tickets or better yet visit one of our events to buy tickets and save us the processing fee. You can also pay by check by sending it to PO Box 95226 ABQ 87199 and include your email so that we can send a confirmation. Make checks payable to NMHRS. Handmade with love by volunteer Debbie, all proceeds from the quilt raffle help us with advocacy, education, rehoming and rescue.